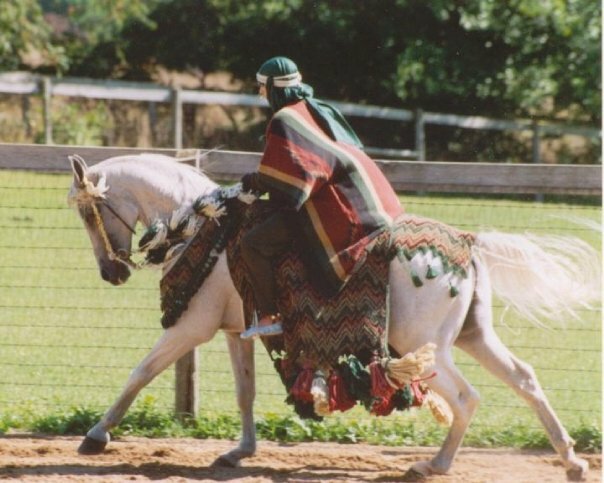 Spring All Arabians, an Arabian horse farm, established in 1985 by Kimberly Conrad in Rockford, Illinois. Kim is very hands on and is the driving force behind every aspect of the business (breeding, training, showing, lessons, marketing & sales) for over 34 years. 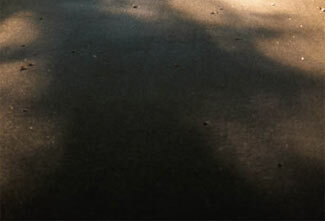 Kim specializes in being versatile in many different disciplines of riding. 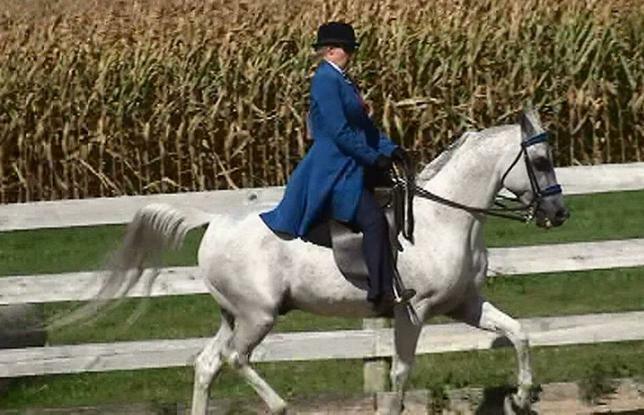 Kim is skilled in the following: English (Pleasure or Equitation) Hunt Seat, Saddle Seat, Western Pleasure, Side Saddle, Halter, Ground Driving and Mounted Arabian Native Costume. 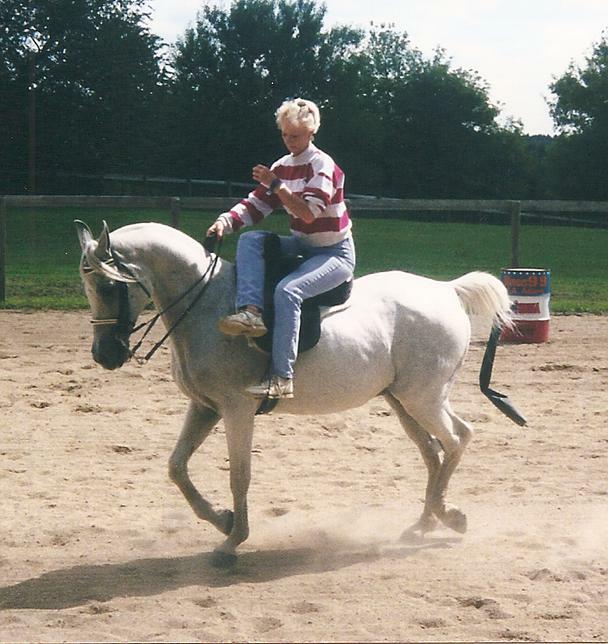 In 1992 Kim worked as an assistant trainer at an American Saddlebred horse farm riding 5 gaited show horses and also giving riding and horsemanship lessons to children and adults. 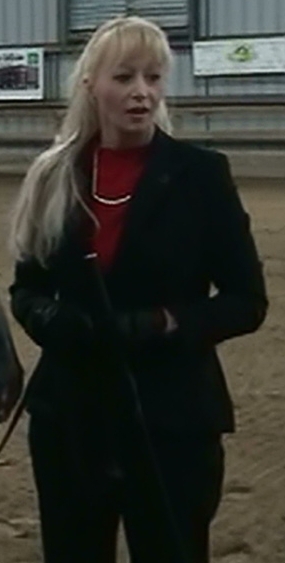 Kim is a true professional horsemen and committed trainer. In addition to Kim's horse skills she is also a true animal lover and cares about the welfare of each individual that is in her care. 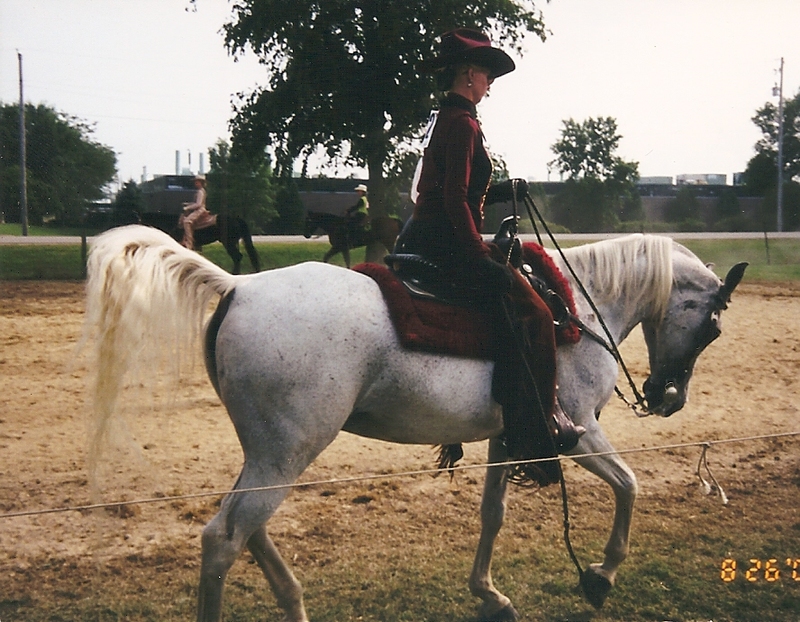 Kim worked as an Licensed Illinois State Approved Humane Equine Investigator thru Hooved Animal Humane Society and the Illinois Dept of Ag for 8 years and retired in 2008. 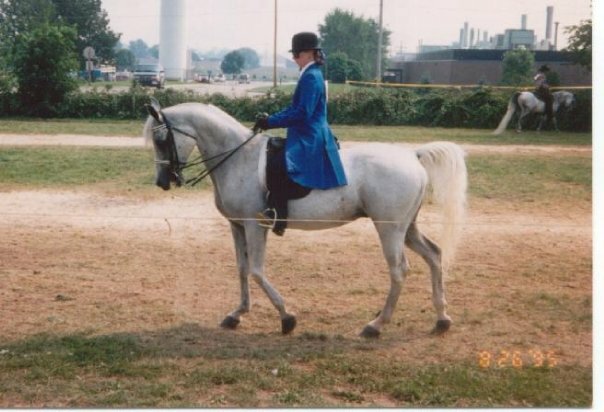 With Kim as the trainer/rider/handler our top show horses have been very successful in the show ring and become PROVEN champions. 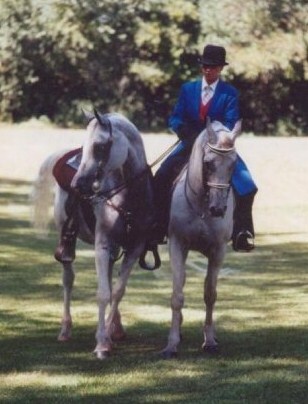 We have bred some very nice family show horses over the years which includes our senior herd sire SAA SNORT N BLOW. 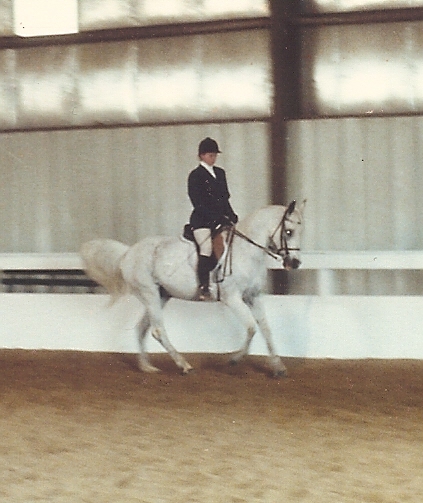 Our horses that we have owned and/or bred (past/present) have had a lot of success in the show ring. From open shows to breed shows or 4-H, from the family pet to the breeding shed they continue to make us proud! We take great pride in and stand behind each and every horse that we have owned, bred, trained, shown or sold. We breed for quality, great trainable minds, temperament and to preserve that rare Polish foundation bloodlines in the Arabian breed. 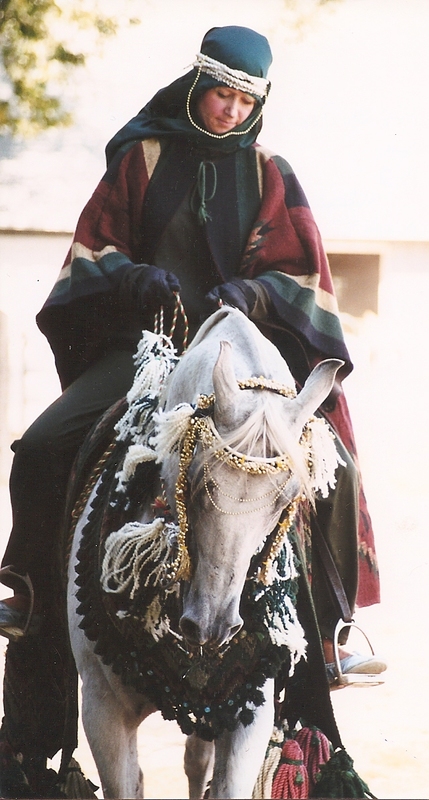 In today's Arabian horse breeding world the gene pool is getting smaller and smaller each day. Why would you want to breed your mare into a small gene pool? Let's go back to where it all began...to the foundation blood. In our senior stallion SAA SNORT N BLOW we have done just that....PROVEN Champion Polish Foundation Bloodlines. Our mare clients have been very satisfied with each Snort N Blow foal! They are also very happy with the personalized one on one customer service that we provide to each and every mare owner. Our clients mares are treated very well (like a Queen) while in our care which reduces the stress level for both mare and the owner. If you have any questions feel free to contact us we’re always happy to hear from fellow Arabian lover or other horse lovers alike. 02/14/19 - Come see SAA Snort N Blow in person at the 2019 Midwest Horse Fair Madison, WI April 12-14th. 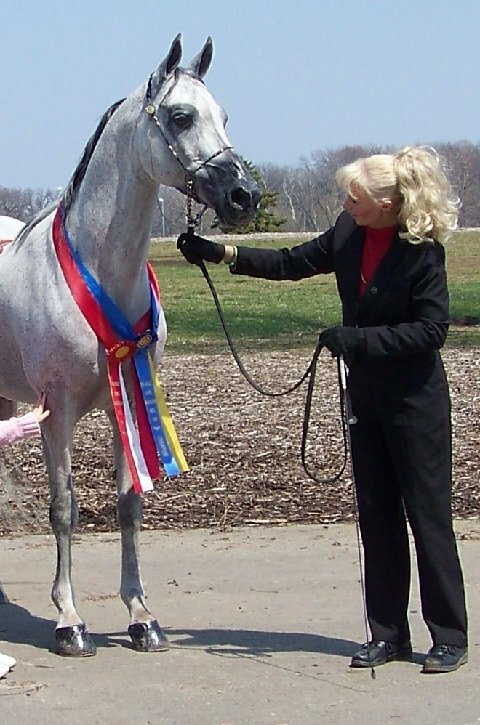 This will be our 19th consecutive year at the Midwest Horse Fair! *11--22-18 From our barn to yours wishing everyone a safe and happy holidays! *10-01-18 Congrats to SAA Snort N Blow for another successful show season winning all of his classes. Making his stats 206 First Place wins, 25 Grand Championships, 32 Reserve Grand Championships. Way to go Snort!!! performances and appearances at other shows or events! 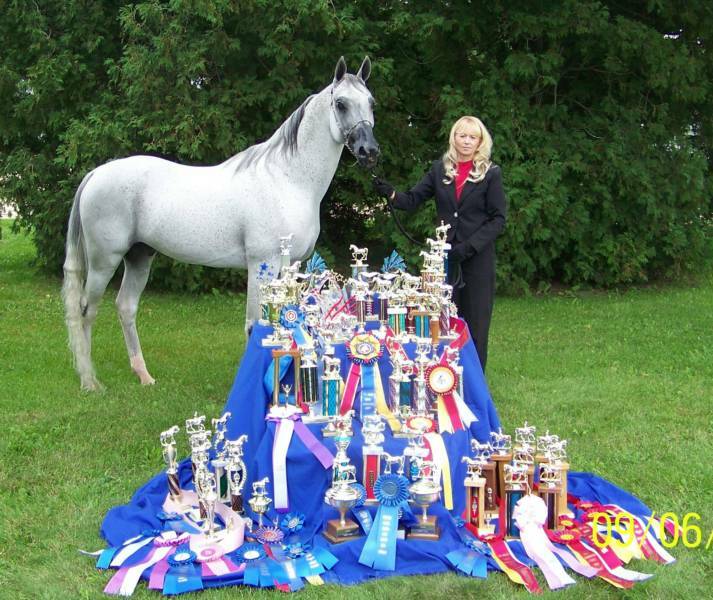 NOTE: These are just SOME of his winnings NOT ALL of his trophy's & ribbons were able to be displayed. 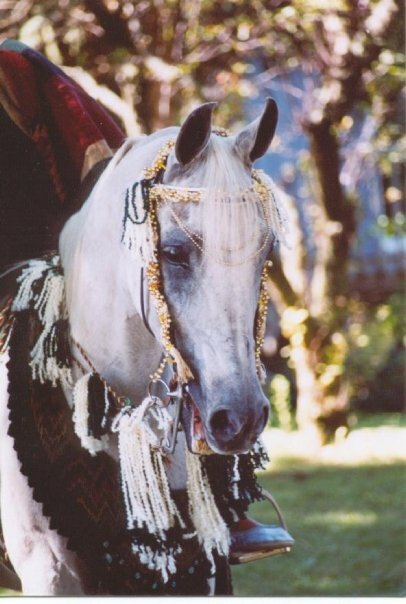 but to one Arabian horse you maybe the world"
They make the best of everything they have"
We specialize in Arabian horses but lessons with all breeds are welcome. 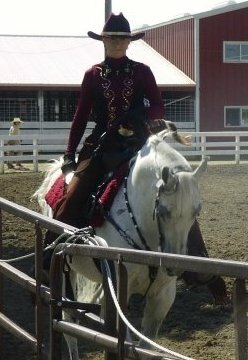 lessons / training with your own horse around the Rockford, IL area (Northern IL & very Southern WI close to the IL boarder). 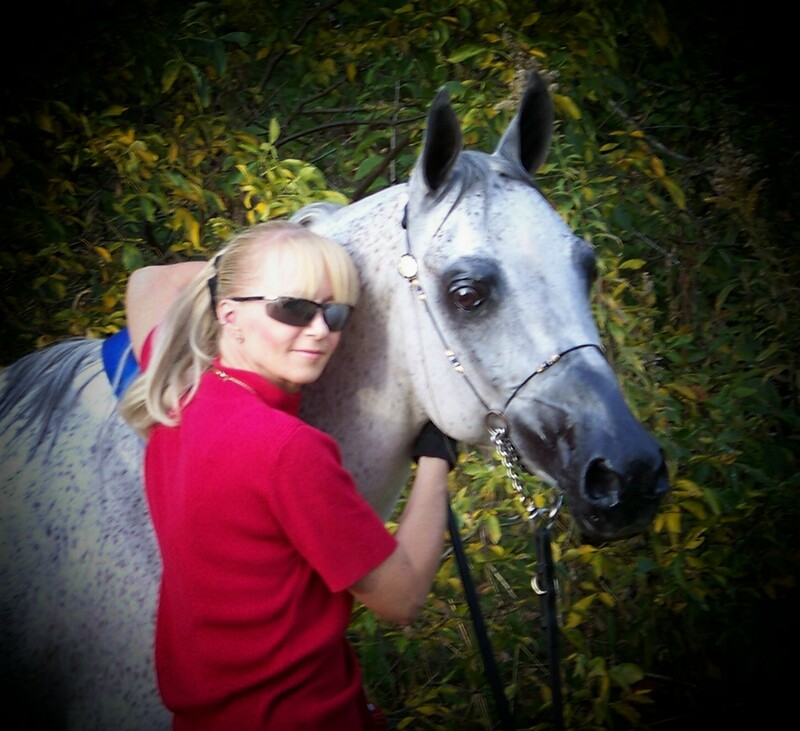 Kim has over 34 years of experience in horses (showing, training and general care). Winning from Arabian breed shows to open shows. 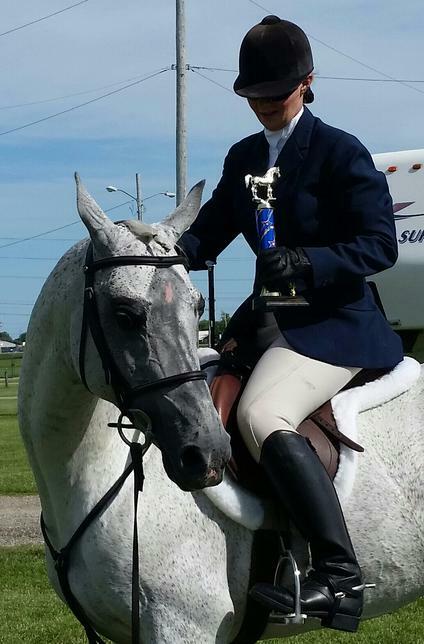 Kim has well over 350 first place wins and well over 75 Championship wins under her belt with horses she has owned and trained. 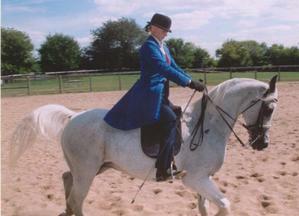 She very well established in the horse industry in her area and is well respected by fellow show competitors. 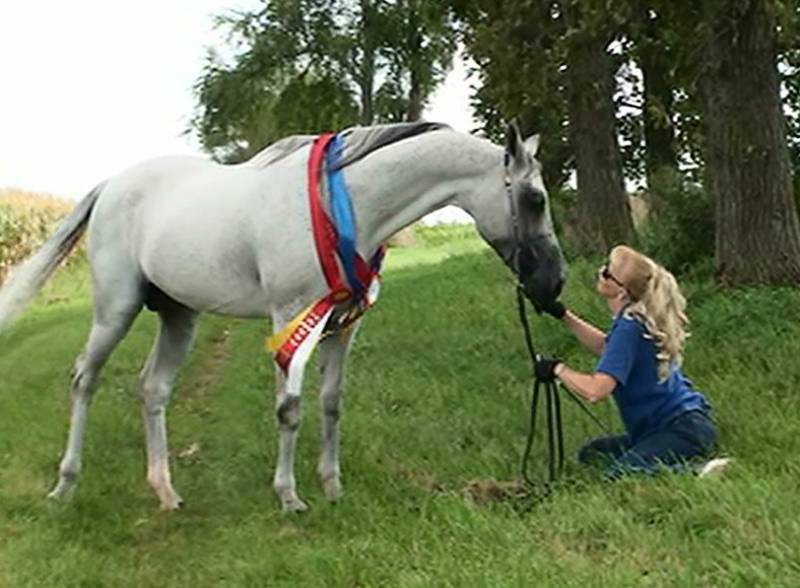 She is also a retired Illinois State Approved Humane Equine Investigator who is deeply committed to the care and well being of animals.